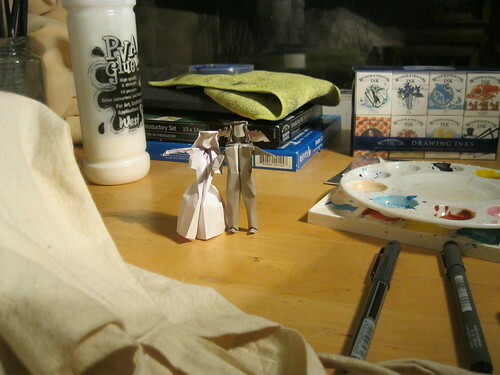 My brother- and sister-in-law got married in Canada couple of weeks ago and were keen to let me get involved in some way ... with something small but crafty that could fit in our luggage as we crossed the ocean. So I was given an open remit to create the cake-toppings. 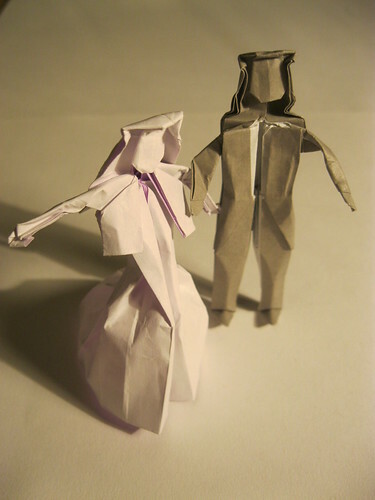 With a theme of Japan, it seemed the perfect opportunity to try an origami bride and groom, and I was thrilled to find the brilliant you-tube videos of Tadashi Mori to help me create something suitably special!